mounted on a roadworthy trailer with torsion suspension, appropriate reflectors and tail lights and capable of being towed at speeds of up to 80km/h. 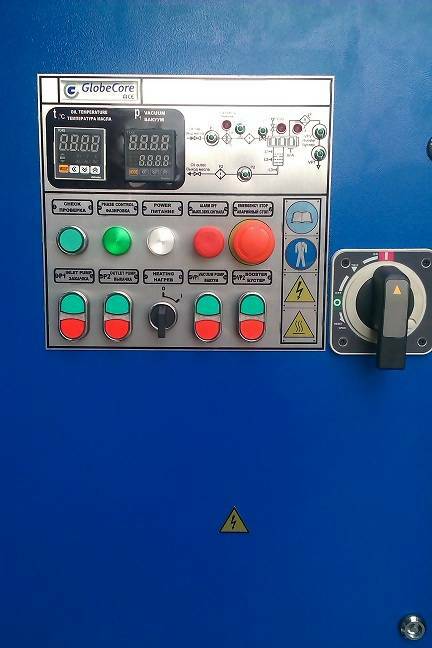 It will be enclosed with water proof metal covers (protection class IP45) and have a mechanism to secure plant in stationary position while in operation. 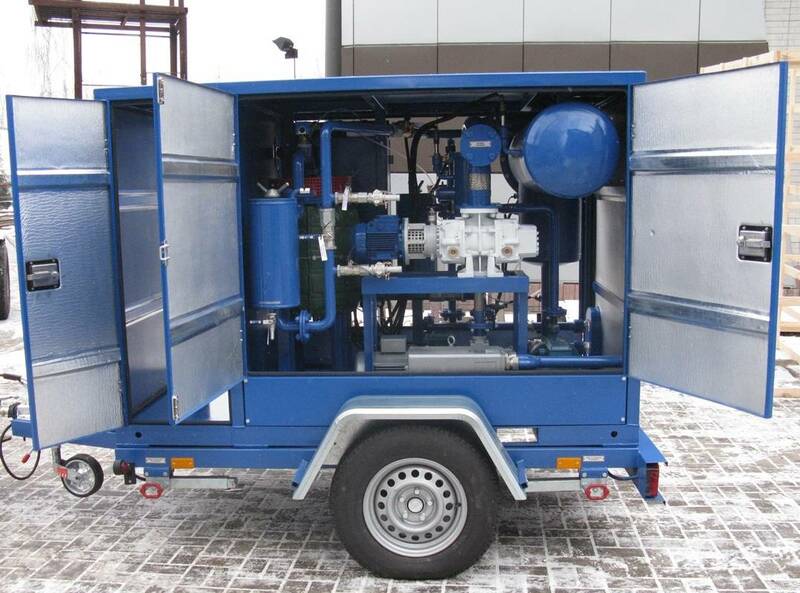 The electric oil heating facility will be provided in 2 stages offering a total of 48 kW of power. 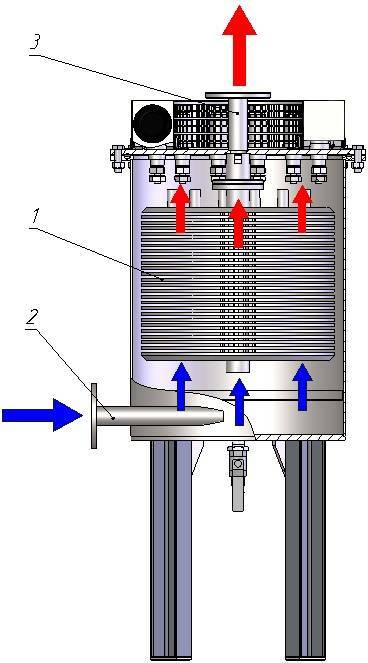 A low watt density encapsulated heating elements (1.2 W/cm²) are used to prevent heat degradation of oil. 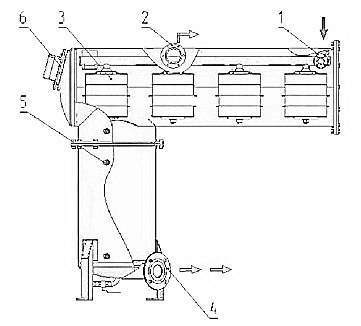 The Heater is controlled by electronic temperature controller. 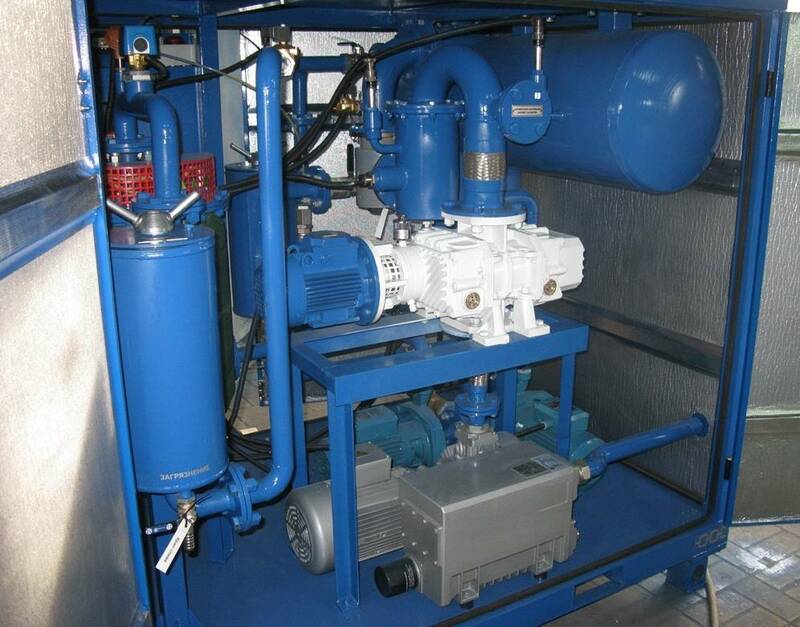 Inlet Oil Pump: “Calpeda” Centrifugal Pump with power consumption of 4 kW and maximum capacity of 14 m³/h. 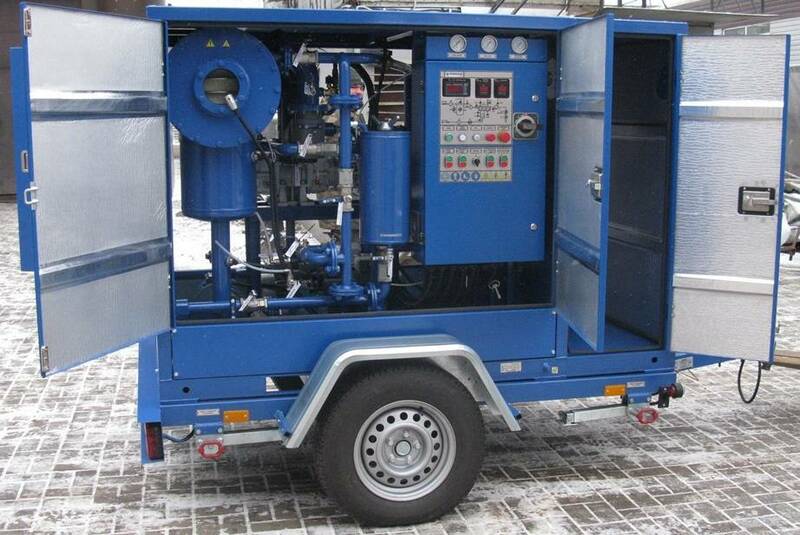 Outlet Oil Pump: “Calpeda” Centrifugal Pump with power consumption of 3 kW and maximum capacity of 10 m³/h. 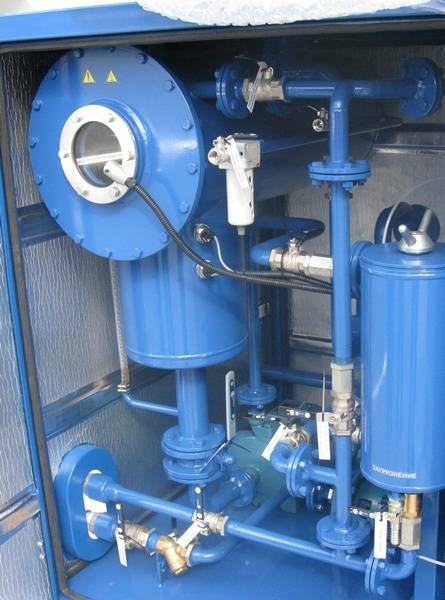 A 90 micron Mesh Strainer is provided to remove large particles that could cause damage to the Inlet Pump. 5 microns Coarse Filter is installed on entry to the Vacuum Chamber. Oil receives its final treatment by passing through the 1 micron Fine Filter designed to remove 99.9% of particles larger than 1 micron. 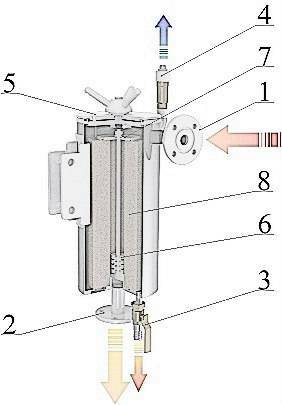 level sensors control oil level in vacuum column. foaming sensor controls foaming level in the vacuum column. vacuummising of a transformer tank. 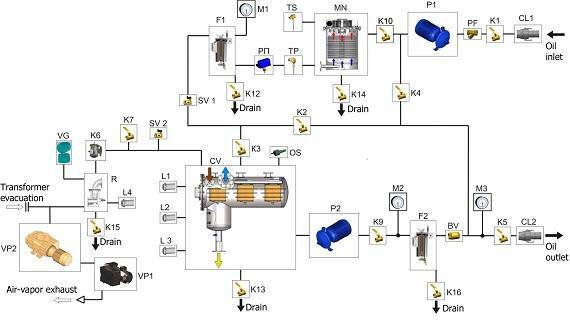 This plant comes complete with the set of spare parts sufficient for trouble free operation during 1 years period. 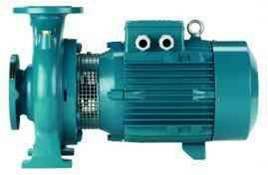 WARRANTY: GlobeCore warrants the machinery supplied under this specification against defects in material and workmanship under normal use and service for a period of 12 months from date of shipment.